Today, it's easier and safer than ever to kick the paper habit. Whether you use a computer, smartphone or tablet, you can view and pay your bill online and have all of your account information at your fingertips. Sending out paper bills each month is a significant part of Howard Electric's operating costs. Each member that signs up for paperless billing helps us save money, which translates to keeping your rates affordable. 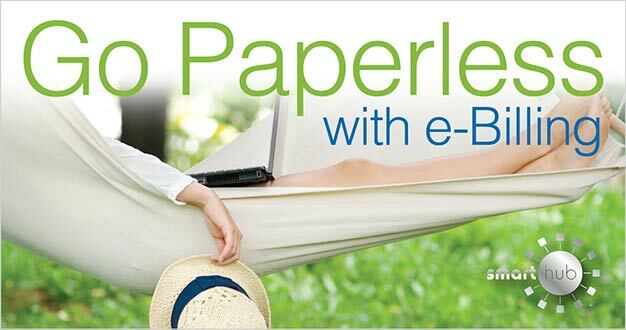 Signing up for Paperless Billing is quick and east through SmartHub. Click here for instructions. Receive e-mail notifications when your bill is ready to view online. Save yourself a stamp and pay through our secure SmartHub site. No more bills lost in the mail. Cut down on paper clutter in your home.